Holders 1. FFC Turbine Potsdam have been handed a round of 32 tie with Åland United while Olympique Lyonnais face AZ Alkmaar after the draw for the first two knockout stages was made. UEFA Women's Champions League holders 1. FFC Turbine Potsdam will begin their title defence against Åland United in Finland after the draw for the first two knockout rounds was made in Nyon. Potsdam are one of 23 teams entering the competition at this stage, joining the nine clubs who progressed from the qualifying round. They take on European debutants Åland in the round of 32 on 22/23 September and 13/14 October and are at home in the second leg, like all the seeded teams. Should they go through, Potsdam will face PAOK FC or Austrian champions SV Neulengbach in the last 16 in November. FCR 2001 Duisburg, who preceded their German rivals as European champions by winning the last UEFA Women's Cup in 2009, have a round of 32 tie with newcomers CSHVSM of Kazakhstan. The only other previous titleholder still involved, Arsenal LFC, play Serbia's ŽFK Mašinac. The side who lost the 2010 final to Potsdam, Olympique Lyonnais, tackle AZ Alkmaar in perhaps the tie of the round along with 2003 runners-up Fortuna Hjørring against former semi-finalists CF Bardolino Verona – that pair also met last season with the Danish club winning 5-2 on aggregate. Lyon's French rivals, FCF Juvisy Essonne, will be rematched with Breidablik, that duo having drawn 3-3 in the qualifying round in Iceland to ensure their mutual progress. Apollon Limassol LFC, who surprisingly eliminated two-time champions Umeå IK in the qualifying round, have been rewarded with an encounter against 2009 runners-up Zvezda-2005. The eight teams advancing from the round of 16 will enter the draw for the rest of the competition on 19 November. Making the draw, UEFA general secretary Gianni Infantino said: "European competitions are the icing on the cake of the domestic leagues and the national federations. 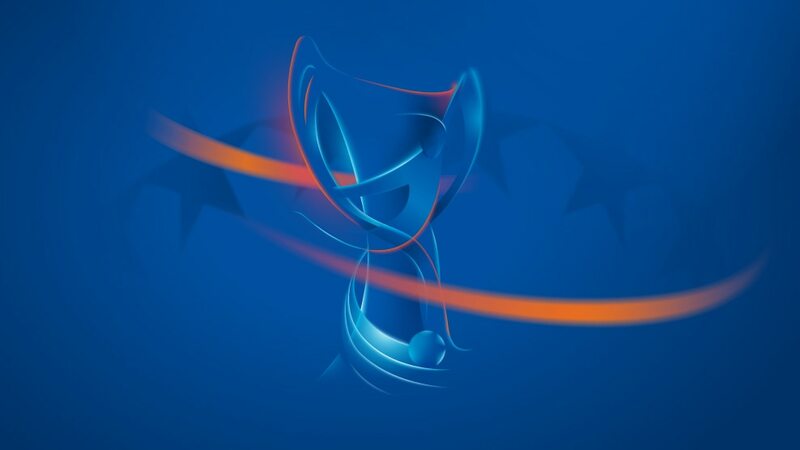 The UEFA Women's Champions League gives clubs a chance to experience new countries and new cities, new football cultures and new stadiums and will ultimately end in the final on 26 May 2011 in London." Icelandic duo Breidablik and Valur Reykjavík have been given tough last-32 draws against FCF Juvisy Essonne and Rayo Vallecano de Madrid but both their coaches are relishing the challenge. FCR 2001 Duisburg will be without Annike Krahn for the bulk of the season after the Germany defender damaged knee ligaments in her club's qualifying round defeat of Glasgow City FC.